In this episode, Mark shares a unique path to America and into the higher ed profession, which provides him with a catalyst for his inclusion work at the University of Michigan. He explores his upbringing abroad and what it gave to him as he immigrated to the US. 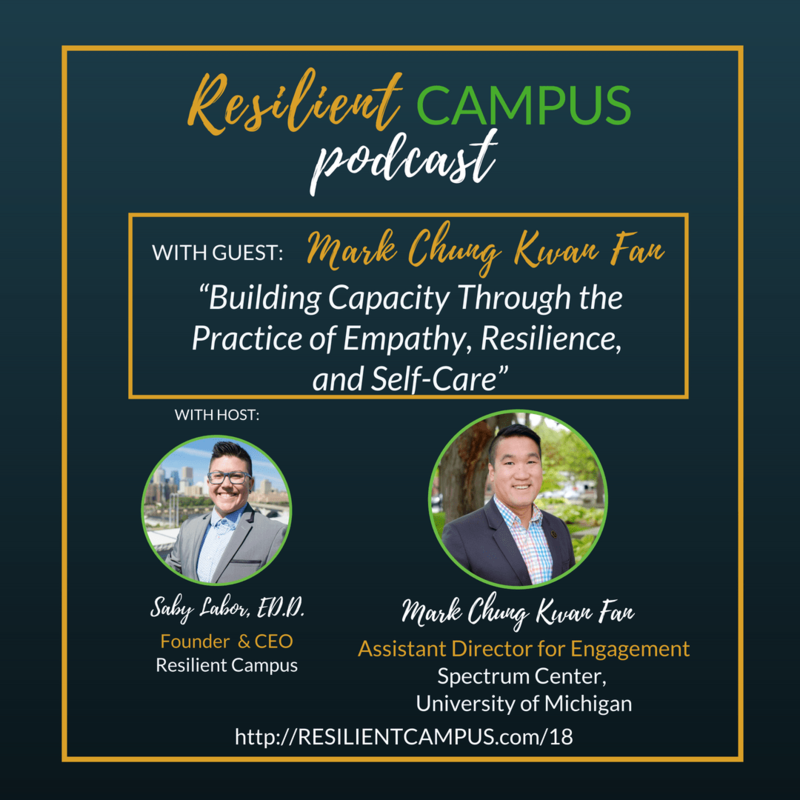 Learn more about Mark’s experience in committing to serving student needs, nurturing more empathy, and building resilience. It’s a fun episode full of great morsels of advice from Mark that we know you’ll enjoy! Mark Chung Kwan Fan is an Asian Mauritian-born and immigrated to the U.S. at 19 years young. He currently serves as the Assistant Director for Engagement at the Spectrum Center at University of Michigan. With a student-centered approach, he approaches his work with a racial and gender justice foci. His past experience revolves in areas of housing and residence life, honors college, international student orientation and support, and identity-based initiatives.